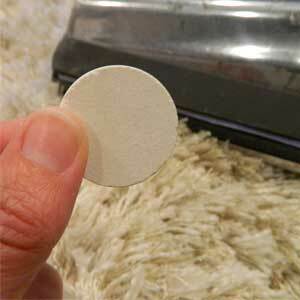 DIY carpet cleaning tips to remove make-up, wine and wax. 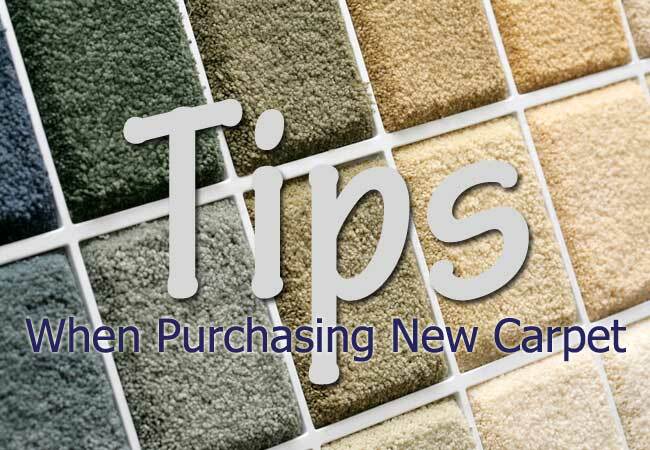 It’s easy to freshen up your home with these simple DIY carpet cleaning tips. Below are three simple tips for removing some of the most common carpet stains, make-up, wine and wax. You should always have a few clean, white cotton towels on hand for unexpected carpet spills. Why white and why cotton? Cotton is an excellent absorbing fiber and white towels won’t transfer color. Ever spill liquid make-up on your carpet? Here’s your first DIY carpet cleaning tip – blot, don’t rub. Absorb as much of the liquid make-up as possible with a clean, white cotton towel by pressing down into the spill. Don’t scrub the spill. Scrubbing will certainly remove some of the make-up, but it will also spread the make-up around eventually making the spot larger. Next, get the spot slightly damp with a moist towel. Now apply some white foam shaving cream to the make-up stain. White foam shaving cream has properties similar to soap, it’s foam will help lift away the spill without leaving a heavy residue. Use the moist towel to rub the spot in a circular motion. 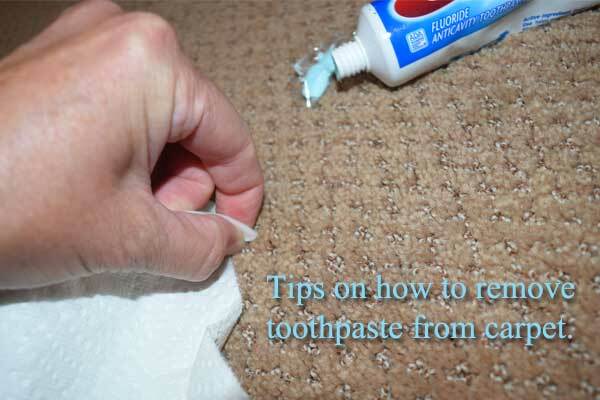 The shaving cream will help to break down stain. Finally, mist the spot with a spray bottle of water or simply wipe the area with a damp towel. You can repeat this process until the spot is removed. Wine is one of the most common household spills. Believe it or not, the best DIY carpet cleaning tips to remove red wine is to treat the spill with white wine. Here it is again, use clean, white cotton towels to soak up as much of the liquid as possible. You can even stand on the towel to help soak up more red wine. Then open up a bottle of white wine. Gently sprinkle the white wine over the spilled red wine. How much white wine you will need depends on how much red wine was spilled, use your best judgement but don’t saturate the carpet with white wine. Again, use your clean cotton towels to absorb the wine. Try to blot with a section of dry, clean towel each time you press down. 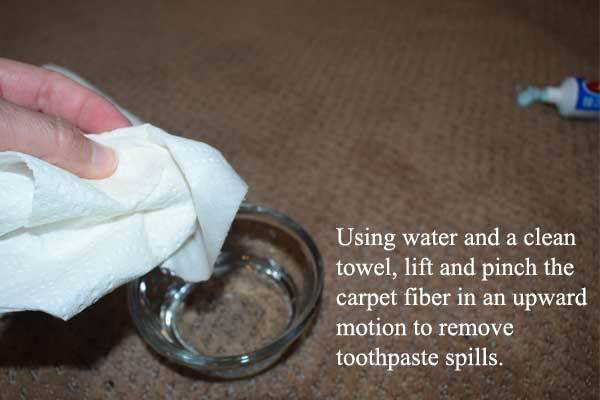 The dry towel will pull the moisture out of the carpet, removing the wine in the process. Candle spills happen. If you spill wax on your carpet don’t panic. The DIY carpet cleaning tip in this case is to let the wax cool and harden. Once cool, pick away as much of the solid wax as you can. Next, plug in your iron and grab the notorious clean, white cotton towel. When your iron is hot, cover the wax spill with the towel and then press the hot iron over the towel. The iron should re-melt the wax and the towel will absorb the freshly melted wax. Repeat this step 2 to 3 times and then let the carpet come to a normal temperature again. 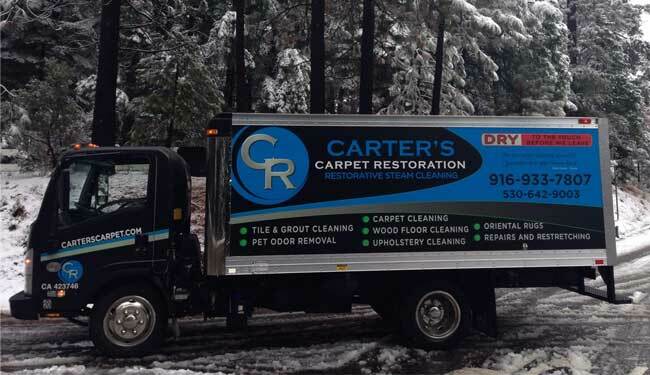 Most carpet is synthetic and it will actually melt if exposed to excessive heat. You must watch closely to ensure you are removing wax and not melting carpet fiber. Once most of the wax has been removed, any remain bits can be trimmed out with a pair of scissors. 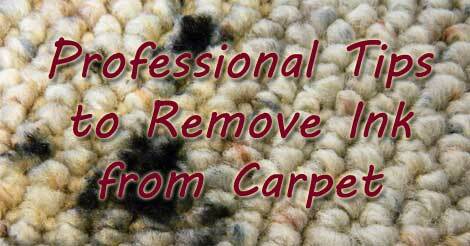 Most of the time these simple DIY carpet cleaning tips will freshen up your carpet in between professional cleanings. Be prepared for the unexpected and keep a supply of clean, white cotton towels on hand. 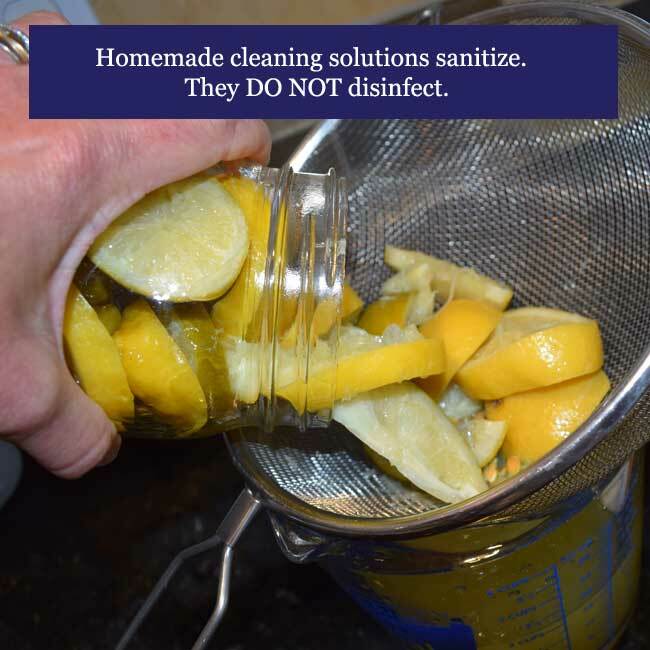 Vinegar is also a great, natural and neutral DIY carpet cleaning solution to use for small spots and stains. 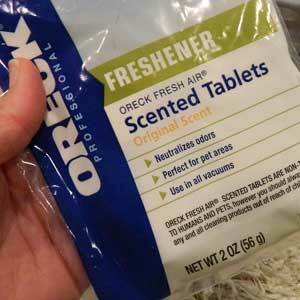 Use vacuum bag deodorizer tabs to keep vacuum exhaust fresh. This is a vacuum bag deodorizer tablet, about 2 inches in diameter. 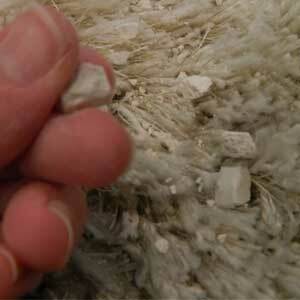 Crumble the vacuum bag deodorizer tab between your fingers and sprinkle onto the carpet. Vacuum up the crumbled vacuum bag deodorizer tablet. A vacuum cleaner bag deodorizer is a relatively new concept for an age old problem. For those of us who still use a vacuum that requires a bag, this may be the new trick to solve a old problem. Over time, vacuum cleaner bags can develop a musty smell that fills the room when you turn on your vacuum. A vacuum cleaner bag deodorizer is easy to use, inexpensive and effective. Here’s more information if you’ve ever wondered about these tiny little disks of fresh air. Vacuum bag deodorizers are available at most retail locations that stock a variety of cleaning products, a vacuum repair shop and on-line. The deodorizers are individually wrapped, and sold in packs of 10 to 12 for around $10 per pack. Each tablet is designed to last the life of your vacuum cleaner bag under regular use. The vacuum cleaner bag deodorizer itself is about 2 inches in diameter, and just a 1/8th of an inch thick. Do not open the individual package until ready for use. You can store the deodorizers in a cool, dry place like a closet. It’s easy to use the vacuum cleaner bag deodorizer. Simply open on of the individually wrapped packs. You can either crumble the disk and vacuum it up, where it will remain until you change the vacuum bag. You can also insert the tab directly into the vacuum bag when you’re putting a new bag on the vacuum. Again, the deodorizer is designed to last the life of the bag under regular use. Ink is typically a permanent stain, but if you get to it quickly you may have success with removing ink from carpet. 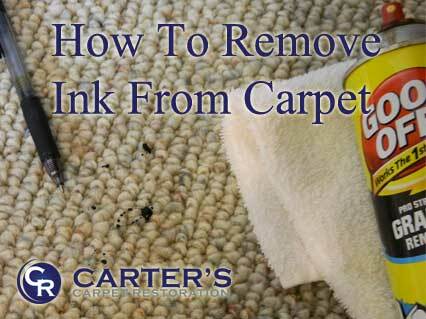 There are three different DIY remedies that you can try to remove ink from your carpet. Hopefully, you’ve got one of these three household items around. Start by looking for either hairspray, Goof-Off (spray or aerosol version), or WD-40. These products all have some type of oil or lubricant and that’s what will be helpful in removing ink from carpet. Please be aware that ink removal can be difficult, even for professional carpet cleaners. You’re likely to have greater success if you get to the ink stain immediately. This cleaning advice is intended for the average homeowner removing a small amount of ink from carpet, spots about the size of a quarter or smaller. Several different household products can be used to remove ink from carept. 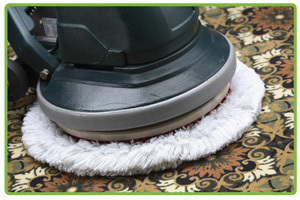 Note that the carpet cleaning process is the same for each household product mentioned. Begin by spraying the spot lightly with the product. 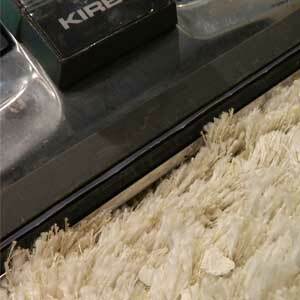 Next, using a clean white towel and squeeze the carpet fibers in an upward motion to remove the ink. It should feel like you are pinching the carpet between your fingers and lifting upward at the same time. If the ink is transferring onto the cloth, you can repeat the process until all the ink is removed or ink no longer transfers onto the cloth. After removing ink from your carpet, you’ll want to remove the cleaning product from your carpet too. Otherwise, the spot will attract dust and become an unsightly brown spot. To remove the cleaning product you used, start by dipping a sponge into a fresh solution of 1 quart warm water and 1 teaspoon of blue Dawn liquid dish soap. Apply this sparingly to the area. Again, use a clean white towel, squeeze the carpet fibers in an upward motion to remove both the cleaning product and the cleaning solution. A bit of advice when removing ink from carpet, use small amounts of the cleaning product AND the cleaning solution. Using too much water or cleaning product will wash the ink deeper into the carpet fibers. If you need advice on removing ink from other types of fabric, check out this recent article by the Today.com. They address several ink stain situations and offer additional advice. Is it better to wear shoes or go barefoot on carpet? UPDATE: This article has been updated from it’s original version. Originally, it stated that your feet have oil glands and the oil left behind on your carpet would attract soil. This is not true! It was brought to our attention by a reader that the soles of your feet do not have oil glands. BUT they do have sweat glands. The end result being similar. Your skin naturally releases moisture in the form of sweat or oils. That moisture or sweat will transfer from your foot to the carpet, leaving trace amounts across the surface of your carpet fibers. Body moisture on your carpet, even in tiny amounts, is not good. It will attract dust, dirt and dander. So when you go barefoot in your home, you’re leaving sweat on the surface of the carpet then soil is attracted to it. You certainly won’t notice a difference immediately, however, over time the soils will build up. Wear your shoes or socks – your shoes will track in dust, dander and even mud. But shoes will typically leave behind dry soil that can be vacuumed up. Ideally, a pair of clean slippers at the front door will keep your carpet looking it’s best. Just slip off the out-door shoes, and put on the indoor slippers when you make the transition from outside to in. 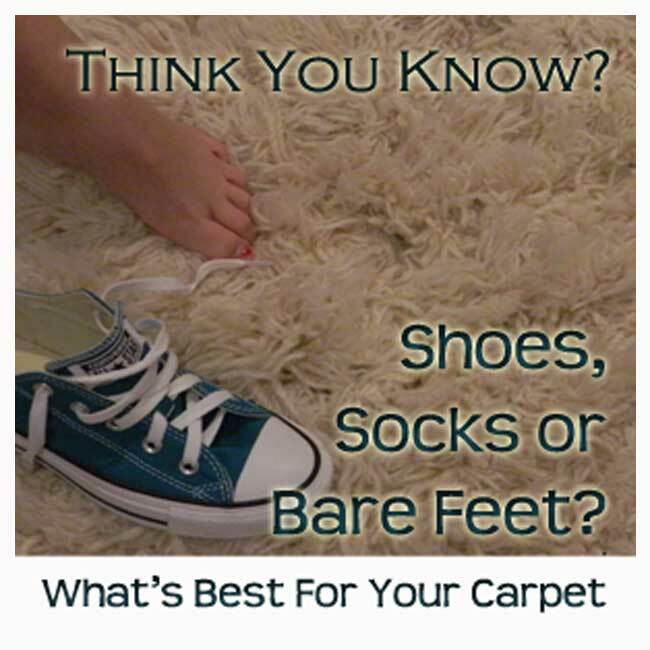 So to answer the timeless question; is it better to wear shoes or go barefoot on carpet? The answer is socks or clean, rubber-soled shoes.